The Small Business Administration (SBA) 7(a) Loan Guarantee program is one of the most popular loan programs offered by the agency and is the basic SBA loan program. A 7(a) loan guarantee is provided to lenders to make them more willing to lend money to small businesses with "weaknesses" in their loan applications. For example, a business startup would not have cash flow history to provide a lender with the assurance of continued ability to pay back a loan, so the SBA 7(a) loan would serve to provide the lender with an increased guaranty against default. The SBA warns, though, that lenders do not have to accept 7(a) loans. How Much Can You Get in an SBA 7(a) Loan? SBA 7(a) loans are for a maximum of $2 million, with SBA loan guarantee of no more than $1.5 million (75 percent). The terms of SBA 7(a) loans are 25 years for real estate and equipment and 7 years for working capital. Interest rates are based on the prime rate, the size of the loan, and the maturity of the loan. What Are the Eligibility Requirements for a 7(a) Loan? Business and owner requirements: Your business must be defined as a "small business" by the SBA, you must be operating for a profit within the U.S. or its possessions. You must have the resources to invest your assets in your business, and you must show that the loan is for a sound business purpose. Also, you must not be delinquent on any existing debt obligations to the U.S. government (such as student loans). Eligible and Ineligible types of businesses: Most types of businesses are eligible, except for real estate and other speculative businesses, lending companies, pyramid sales companies, companies that engage in illegal activities, and those which are non-profit. Eligible business purposes: 7(a) loans may be used for such business purposes as purchasing land or buildings, equipment, machinery or supplies; for long-term or short-term working capital; for refinancing; or for the purchase of an existing business. Here is a more detailed list of terms that make a business eligible for an SBA 7(a) loan. To get the loan, you will also need the typical documents for a business loan, including your personal financial statement and a business plan with financial statements. How Do You Get an SBA 7(a) Loan? 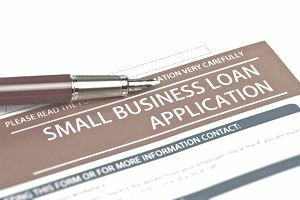 The SBA does not directly lend money to small businesses; it guarantees the loan, acting as a co-signer. You must first find an SBA-approved lender and work through this lender. The lender will ask you to complete an application for a 7(a) loan, and you will work with the lender on the paperwork required by the SBA. How Long Does It Take to Get an SBA 7(a) Loan? It's difficult to state specifically how long the loan process might take because each loan is unique. You might want to ask your lender about an SBAExpress loan, for a smaller amount, which has a faster turnaround time. Robert Longley, U.S. Government Expert, says Express Loans and some other types of SBA loans may be funded within just a few days. To get started, contact your local SBA office and ask about lenders, or use the SBA's LINC service that allows you to connect with potential lenders online.